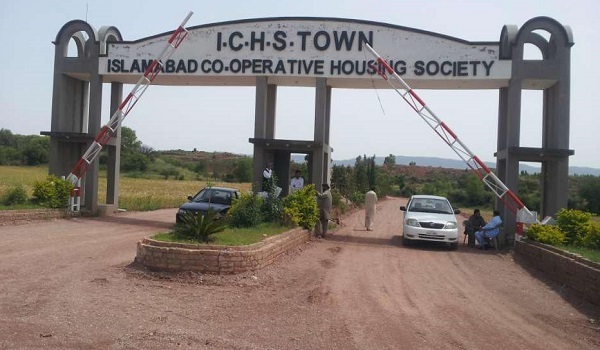 Islamabad Cooperative Housing Society (ICHS) has and still generates a lot of attention because of its affordability and the fact that it is in close proximity to Islamabad International Airport. Just recently, a publication has announced the launch of new plots in ICHS Town Phase 1 -Extension. This is a great opportunity for long-term investment, especially if you’re looking for affordable plots on installments. Here are the current updates on ICHS Town Islamabad. New plots have been launched in Quaid Block. The launched plots include 5-marla, 7-marla, 10-marla, and 1-kanal residential plots, along with 4-marla commercial plots. The amount payable is divided into two parts, with almost half the amount payable as the down payment, and can be considered as the price of the land, while the approximate remaining half is payable in installments over the next two and a half years, and can be counted as development charges. One is the Front Commercial which is located on the main road and is priced around PKR 2.8 million. The second category is Corner Plots, which are priced around PKR 2.5 million, while the other plots are priced between PKR 1.8 million and PKR 2.2 million. In Phase 1, the 5-marla plots are priced between PKR 800,000 and PKR 1.1 million, while 1-Kanal plots are priced around PKR 2.2 million to PKR 3.5 million. In the Extension, the 5-marla plots are priced between PKR 300,000 and PKR 400,000; and, 1-Kanal plots are available for around PKR 1.2-1.3 million. The market has been kept active by long-term investors as it is a golden opportunity for long-term investors to invest in housing schemes near Islamabad International Airport. However, keep in mind that this investment has to to be long-term. If you hold the property for longer – let’s say for 4-5 years your margin for returns will be high. Development work in ICHS Town is taking place at a brisk pace. In Phase 1, development has already been completed by 70% – sewerage lines have been laid, roads have been completed, and grid station is being installed. Likewise, in Phase 1-Extension, significant development has been taking place which is a great sign for people who have already invested and for those looking to invest as well. Moreover, infrastructure is being developed around ICHS as both CPEC road and Kashmir Highway are nearby. In addition, more roads are being constructed. All of these factors are good signs for the scheme. Lastly, as ICHS Islamabad will continue to increase its value and worth as it is located close to Islamabad International Airport.